Monday, Nov. 19, 10 a.m. 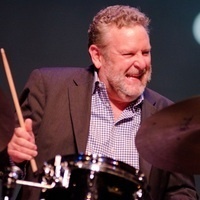 Whether he is recording, performing with his trio or co-leading the Clayton-Hamilton Jazz Orchestra, drummer Jeff Hamilton is constantly in demand. Born in Richmond, Indiana, Hamilton grew up listening to his parents’ big band records and at the age of eight began playing drums along with Oscar Peterson records. He attended Indiana University and later studied with John Von Ohlen. From 1983 to 1987, Jeff performed with Ella Fitzgerald, the Count Basie Orchestra, Rosemary Clooney and Monty Alexander. Jeff began his association with the Ray Brown Trio in 1988 and left in March 1995 to concentrate on his own trio. Jeff is currently touring with his own Trio, the Clayton-Hamilton Jazz Orchestra and Diana Krall. This is a free event, no registration is required. For more information, call Kyra Price at 216-987-4940. Educational opportunities made possible by the Char and Chuck Fowler Family Foundation and Kulas Foundation. Gill & Tommy LiPuma Center for Creative Arts, MCCA 312 2809 Woodland Ave. Here you can add or manged your change ringtone in windows 10 mobile by the help of this website http://changeringtoneinwindows10mobile.com arranging your creative custom.